Phoenix-area landscaping is a rough job: Arizona soil’s sandy, rocky and sometimes clay-like profile can make it a difficult medium to create the landscape you want, let alone maintain it. The ever present force of heat and lack of regular precipitation only adds to landscape maintenance woes. 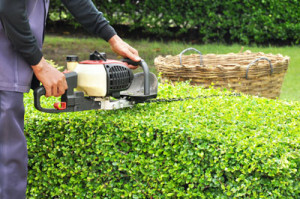 Earthtones Landscape Management is the premier company for landscape maintenance in Phoenix, AZ, and we’ve served the entire Valley for years with our experienced know-how and cutting edge equipment. With our experienced team, no challenge is too great; in fact, we love to get creative and find solutions for even the most difficult properties. From proper irrigation and watering to mowing lawns, trimming foliage and more, we’ve got you covered. Earthtones Landscape Management handles commercial and residential landscape maintenance in Phoenix, AZ. For our commercial clients we can maintain commercial properties, handle lawn mowing, tree trimming, landscape design, paving, landscape installation, install firepits and gardens, and so much more. Be sure to take a look at our weekly/bi-monthly/monthly services and upkeep page for more information on our low cost, routine services. Our residential clients can take advantage of the same great list of Earthtones Landscape Management landscaping services, and we’re also ready and willing to help you plan and fully maintain your desert landscape from start to finish. Take a look at the links below to find any additional service you’re looking for – if you don’t happen to see exactly what you need, contact us today and we’ll work with you in order to make your plans a reality. For spectacular landscape maintenance in Phoenix, Scottsdale, Glendale and the entire Valley, turn to the experts at Earthtones Landscape Management today!